Where technology has become mandatory for human life! This blog will specifically gives information about the most magical invention of technology nowadays. The first technology I want to talk about is 3D printing, where we can duplicate 3D objects into their exact same replicas. 3D printing technology were first introduced to the world by Charles Hull or known as Chuck Hull back in 1970s. Therefore, development has been made for almost 30 years to the stage that it is now fully functioning as a 3D prototyping technology. Basic knowledge about 3D printing is to create 3 dimensional solid objects using additive process from a digital file. The solid object created through layers and layers of chosen material until it forms the entire intended object. 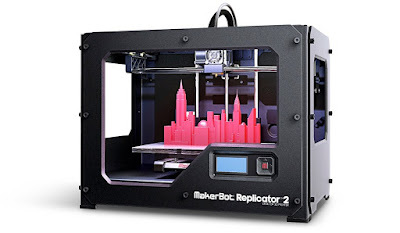 This blog will discuss the technology invention from scratch on the day it ways invented, how it is developed until these days, their mechanism, the impact of 3D printing technology, and the theory behind the invention.